NCMS has a long history of managing projects related to transportation, lightweighting, and mobility. With various programs and three distinct contract vehicles, NCMS expertise is second to none in this space. From autonomous systems to fuel cells, safety glass to vehicle management systems, our project list, and partners in this space read as a who’s who in the industry: Ford, GM, Toyota, and PPG to name a few. However, our collaboration model does not only involve these goliaths of the industry, our value-add is pairing these companies and universities with the most innovative technology producers and providers that are the true drivers of the industry. Some of our current and past programs include the National Highway Traffic Safety Administration (NHTSA), the Lightweight Automotive Materials Program (LAMP), the Digital Manufacturing Initiative—a collaboration between NCMS and the Michigan Economic Development Corporation (MEDC), and the Commercial Technologies for Maintenance Activities (CTMA) Program. View recent performance of NCMS in transportation and mobility program. 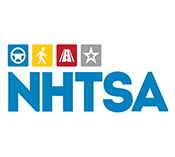 NHTSA – NHTSA has invested in a multi-year research project through NCMS that could be used to establish projects in several strategic areas. This indefinite delivery/indefinite quantity (IDIQ) contract vehicle provides for an indefinite quantity of supplies or services during a fixed period, in this case, 5-years. The NCMS IDIQ provides an efficient method for establishing important NHTSA projects in a timely and cost-effective manner. LAMP – This initiative was borne of a partnership between NCMS, the U.S. Department of Energy, and the National Energy Technology Laboratory. 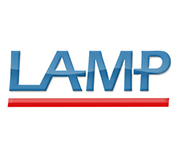 LAMP was initiated because automakers and suppliers are required to increase fuel efficiency to meet Federal corporate average fuel economy or CAFE standards for emissions and economy. LAMP proved that lightweight materials can be strong, easily manufactured, cost-effective, and as good (or better) quality than the traditional solutions. 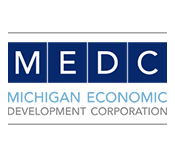 MEDC – MEDC awarded a grant to NCMS for providing small and medium-sized manufacturers access to digital manufacturing tools and techniques such as Modeling, Simulation, and Analysis (MSA). 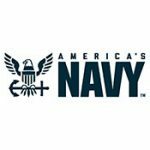 CTMA – The CTMA program, a joint Department of Defense/NCMS effort promoting collaborative technology validation, demonstration, and transition within DoD. Through the Cooperative Agreement, CTMA’s collaborative model helps achieve industry objectives while satisfying DoD needs through demonstration.